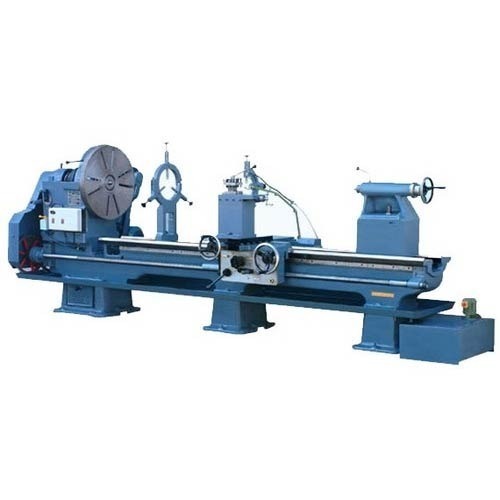 Our company is widely appreciated for providing Heavy Duty Lathe Machine to the clients. Offered range is extensively used for heavy duty solutions in surfacing, screw cutting operations and sliding. This product is manufactured using quality approved components in conformity with set industry quality standards. Sri Chakra Engineering is the sole proprietorship firm established in the year of 1989 in Coimbatore, Tamil Nadu, (India) is the leading industry of CNC Machine, Lathe Machine, Drilling Machine, Automobile Machine, Grinding Machine, Food Processing Machine, Shearing Machine, Planner Machine, Moulding Machine, Surface Grinder and many more. Our company also provides CNC Machine Maintenance Service. The main objective of our firm is to satisfy the customers by serving them the quality services and commodities. We are well known among the consumers due to our quality products and reasonable rates. In assistance of a dedicated team of skilled and talented experts who put their full efforts to manufacture goods in stipulated time period and in huge amount to fulfill the demands of the purchasers with the optimum utilization of components. They have to make sure that, the finest resources are used in the production. Thus, all the above procedures are followed in an appropriate manner which assist us to maintain the goodwill in this cut throat place last long.